Show off your fancy fashion sense with a fancy-cut stone. 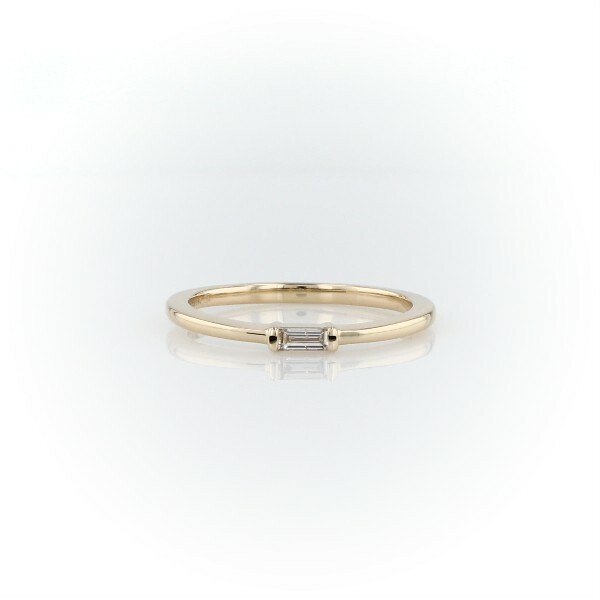 This elegant stackable slim 14k yellow gold band displays a bezel-set mini baguette-cut diamond in a lovely sparkling accent. Due to this ring's delicate nature, we do not recommend for daily wear and are unable to resize or repair.